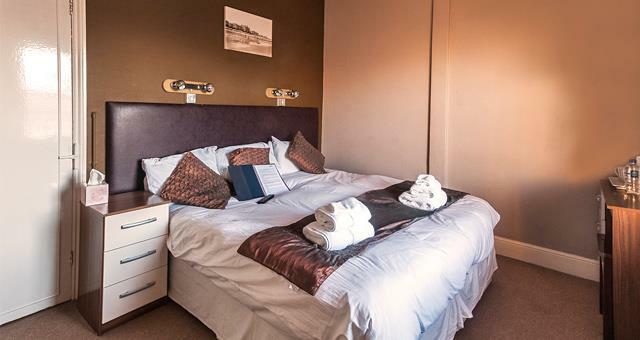 The Mowbray01323 720012work Guest AccommodationA FRIENDLY welcome is assured, as confirmed by the AA when in June 2009 the Mowbray was one of only 20 AA Guest Accommodations in the UK selected from 4,000 to reach the final of the AA's Friendliest Landlady Award 2009. 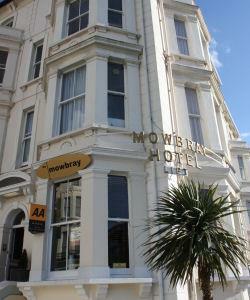 Set in an Edwardian building, the Mowbray is an outstanding AA 4 Star Accommodation. The keynote of a stay is the high standard of service from Darren and Laura who aim to go the extra mile to ensure guests are well looked after, providing such services as a bed turn-down. As well as the usual amenities, all rooms have flat screen TV's and DVD players with a library of 200+ titles to choose from. A spacious lounge offers a comfortable area to relax and there's a stylish new bar overlooking the theatre. In the well-presented dining room, an ample home-cooked menu is provided for diners in the evening and breakfast offers a variety of options for all tastes, as does the room service breakfast. "VALUE THE EXPERIENCE, EXPERIENCE THE VALUE"
A FRIENDLY welcome is assured, as confirmed by the AA when in June 2009 the Mowbray was one of only 20 AA Guest Accommodations in the UK selected from 4,000 to reach the final of the AA's Friendliest Landlady Award 2009. Close to golf courses and start of South Downs Way. Would have liked to have left at 11 rather than 10.30 on morning. The bed was not long enough but otherwise fine. Breakfast was enjoyable, overall a good stay.